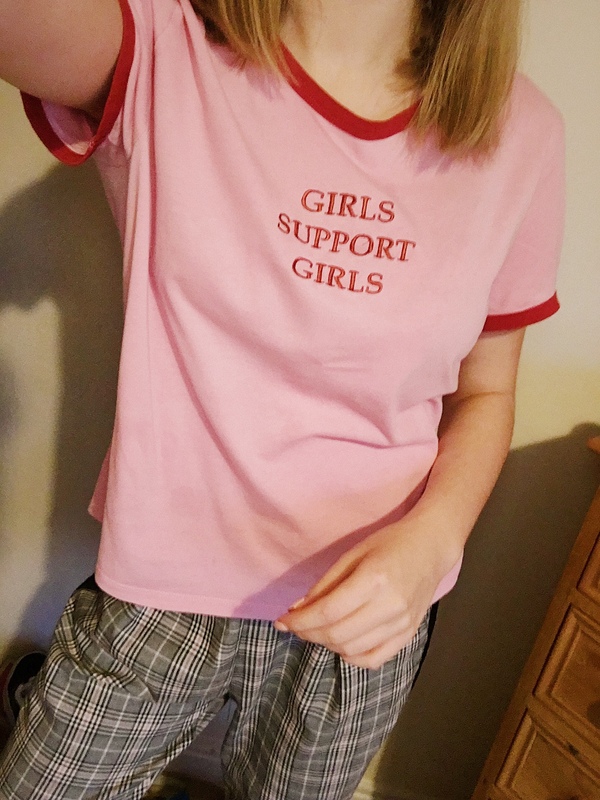 Hey gals, this post is slightly different to my usual posts. But I’m feeling motivated to make a positive impact on the fashion industry and really wanted to write some posts on it over here. I have definitely been slacking on the blog posts as I want to make my blog primarily fashion so I was struggling to get good content. As I’m a firm believer in quality over quantity. However I never really write posts talking about fashion issues or general chatty fashion posts. So that’s what I’ve decided I’d like to include more of. All this passion towards becoming more ethical has spiralled from watching Stacey Dooley’s documentary on a BBC channel the other day. (It’s still currently on Iplayer so I would 100% recommend watching it, if you haven’t already). First of all, I just bloody love Stacey. She’s so cool and I adore her style and her earrings. And she’s my personal fave on Strictly this year so I would just love to be her right now. But anyway, I’m here to talk about being ethical not my WCW. On the show, it showed the horrendous consequences of the fashion industry and really shocked me. Fast fashion is a huge problem and we live in a world where people are selfish and just throw away clothes. And I’m sure we all buy clothes for the sake of it, I can hold my hand up high for that. The fashion industry is the second biggest polluter in the world which is so shocking as we are causing it by our desire to keep up with the trends. I always thought cotton was fabulous. With it being a natural fibre and being sustainable however it turns out you can’t trust any fibre these days. Cotton uses a RIDICULOUS amount of water and pesticides. And cotton is actually the most catastrophic. At the end of the day, is wearing the same outfit again okay? Is living in the same pair of jeans perfectly fine? Will you still be liked if you don’t jump on the new trend that will probably last for a month? The answer to all them questions is the same answer you get to the question ‘is Harry Styles the best human in the world?’. YES!!! Fast fashion is such a problem that I’m now going to try my best to be conscious of and stop buying clothes for the sake of it. When it comes to changing to help a certain issue or trying to raise awareness and make a change, I feel like many people don’t because they don’t think they’ll make a difference. But I feel like that’s not the right attitude. Yes obviously by me not shopping in Primark anymore doesn’t mean Primark will have to close down due to a decrease in sales. But I know it will make me feel better in myself and at the end of the day little actions do overall help. And if everyone does their little bit to help then it does build up. I’m not an ethical shopper. I’m not that bad but I shop freely, with my only criteria for the clothes I buy to look nice. I do buy some clothes for the sake of it but I checked my wardrobe literally 3 minutes ago and I only have a couple of tops that I’ve never worn before. I do also buy and wear lots of second hand clothes which I guess is good. 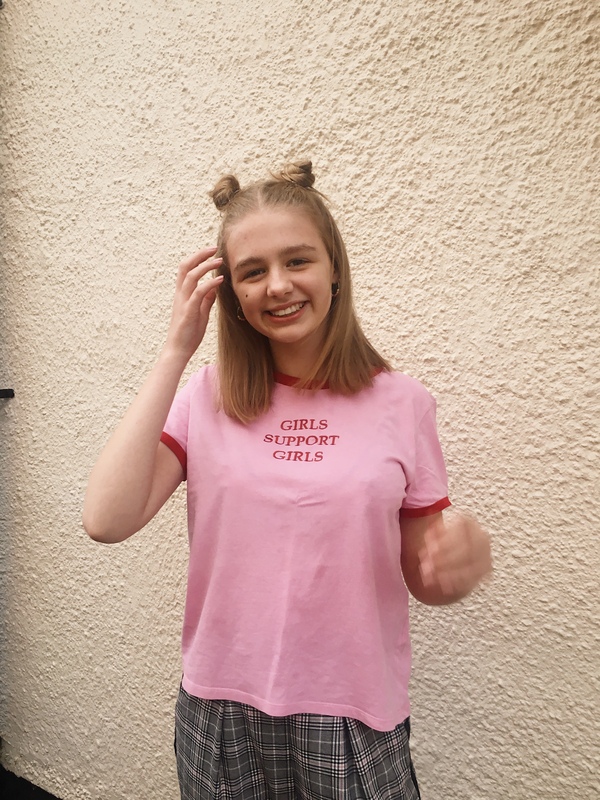 Depop has my heart and I’ve found some steals from my local charity shops. My mum’s wardrobe has also been coming in handy recently. I found a cute floral dress in there and bag the other day which now have a new owner, sorry mum…! I’m really focused to become more conscious of my choices when it comes to buying clothes in the future. So I thought I’d start posting on here of my ways of becoming more ethical. Because before this I haven’t really made any decisions based on how ethical the garments I’m buying are. And the only blogger I follow who I religiously read her ethical content is Eleanor Claudie. 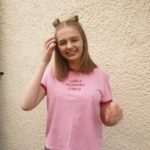 (If you don’t read her blog and follow her then you need to do so!!) 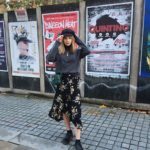 So I thought I’d start sharing posts about my favourite ethical bloggers and where I’m shopping. Being honest I don’t think I’ll be able to become completely ethical in what I purchase. I still love my highstreet stores and I think it will take a long time for me to move away from them. However I know I can reduce my spending and wear my clothes more! If anyone has any tips or wants to talk ethical then leave a comment or find me on my socials! I saw Stacey’s documentary and honestly had no idea that the fashion industry played such a massive part in global warming – its astounding! I do shop in charity shops quite regularly, but I’m equally I buy a lot off the high street too! I definitely want to try and make more of a conscious effort and make smarter decisions! Ahhh Kate this is such a great post and I’m glad the documentary has inspired you to think about your shopping habits! I’m currently writing a post on Stacey Dooley’s documentary as we speak so that should be up soon. Thank you for the shout out as well (and Erin’s comment above hehe!) 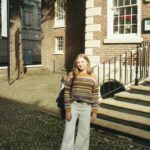 I’m so interesting in hearing your journey and hopefully it may encourage others to at least think about where their clothes are coming from as well. This topic is SO important! Everyone should do their part and be more conscious of their shopping habits. 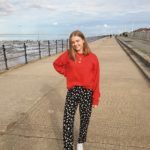 I’m currently challenging myself to not buy any clothes for as long as possible (I wrote a blog post on it) which was also inspired by watching Stacey Dooley’s documentary!! What major steps will you be taking to reduce your impact? I watched this documentary too, and it was definitely eye-opening (particularly as I’ve seen brands advertise their use of organic cotton more and more)! It’s great that you’re shedding light on such an important- yet not merely spoken about enough- topic, and I know that I’ll be doing my bit from now on too! I watched Stacey’s documentary and was blown away with how damaging clothes are to the environment! I’ve cut back massively on what I buy these days… well ever since i got into minimalism, so I like to think I’m helping a little bit :).